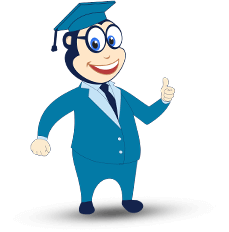 The main objective of Eduncle.com is to enable you to satisfy your academic requirements by giving you access to quality material supplied by the Teachers. We collect your Personal Information in order to record, support and facilitate your knowledge enhancement. Along with this, it also enables us to contact you in case there is some information updated on our website (Eduncle) that needs your due attention. cookies or not is your choice. If you have not changed your computer's settings, most likely your browser already accepts cookies. If you choose to decline cookies, you may not be able to fully experience all features of the website. When you use our Website, we collect and store the personal information which is provided by you from time to time. Our primary goal in doing so is to provide you a safe, efficient, smooth and customized experience. This allows us to provide services and features that most likely meet your needs, and to customize our website to make your experience a long lasting affair. We can also use this Information to send you additional information about our products or courses on the website for your assistance. There is no requirement for you to give your personal information if you don't feel comfortable. You can access our Website even without submitting your basic information. In case you want to receive any specific details about any product, which require to submit information marked by ‘* (asterisk)' sign, please note that you may not be able to access that data unless you submit the required set of information. Certain specific courses might require you to register and create an account with us. This might also require you to submit some information like your name, e-mail id and your contact numbers. Please take a note that all this information is taken for streamlining your experience, not for any purpose to serve us. If you make a transaction with us, we acquire additional information, such as a billing address, a credit / debit card number along with its expiration date. This facilitates better functioning of the sales and purchase process, and it enables us to serve you in a facilitated manner. Although, we do not encourage you to make payments using a credit card. You are using it for your own convenience, and any loss of information or monetary loss sustained will have to be borne by you only. You are also giving your consent to share this personal information (only personal information like name, contact numbers etc. and not your credit card information) with the Teachers who are developing and designing our course content. This will help them to make courses as per your requirements. In this case, we shall not be responsible for any loss you sustain due to leakage of information, the complete on us shall rest on your shoulders only. We are also not responsible for the breach of security or for any actions of any third parties that receive your Personal Information (only passed on when you fill any form or submit them at your end). The website may also connect you to many other third party websites, and we are not responsible any action taken by you or that website which results in some loss to you or to that concerned website. Eduncle.com reserves the right to collect, analyze, interpret, make conclusions and decisions on the basis of certain other information like how you felt after using our website, and were the courses relevant to you etc. All this information will be beneficial for us to understand your needs and modify or product offerings accordingly thereby ensuring a hassle-free and joyous experience to transact with us. You provide such information when you search, buy, post, participate in a contest or questionnaire, or communicate your views through customer service management. online communication with the teachers who design your course material. You are expected to keep this communication at a dignified level, and you should not cross ethical boundaries in any form while having an interaction with a teacher. We shall not make any unfair use of your personal information. All the information given by you shall be used solely for business purposes. (3) Feedback to claims that this data violates the rights of others; or (4) for Safeguarding the rights, property or personal safety of Eduncle.com, its employees, users or any other person directly or indirectly concerned with our business operations. The information collected by you, shall remain with us till we need it for effective provision of services to you. We also want to make it clear that Eduncle.com does not have any need for holding your information. We are keeping it only to ensure a smooth flow of communication with you till the contract remains valid as per the terms and conditions. We duly understand the growing usage of internet amongst the children, and the risks involved with it. So, as our genuine societal concern, we expect and encourage the parents to keep a vigil on the online activities of their children. The activities and courses on this website expect you to be more than 18 years of age. Along with this, we also want to state that in case someone below this age completes a transaction for purchasing a product, he/ she shall not be given any refund as you are assumed to be of contractual capacity at the time of making a payment. We always believe in having a fair and transparent business with our clients. In case you are of an opinion that any information, either on our website or published in the courses, is incorrect or misleading, you can always connect with us and ask for it to be removed or edited. Along with this, we also give you the power to discontinue any/ all communications with us (advertisement, e-mails etc.). For this, you are expected to click the “Unsubscribe” link, and henceforth, you will be removed from our mailing list. While having communication with you (through email), you might be receiving some advertisements or links to some third- party or parties, who might be directly or indirectly connected with us. We hereby ensure you that we do not provide any of your information to these websites or third parties. We cannot be held liable for any loss or leak of information to these parties. Any information, provided by you to any third party, shall be governed as per the rules and regulations applicable to that website or third party. We do not have any responsibility in such a case. You acknowledge that we are giving these links as a convenience, and cannot be responsible for any mishap that occurs at your end. Our topmost concern is to keep your personal information as safe as possible. We have many processes in place to ensure complete safety of your data. With the help of these processes and plans, we ensure your information does not go in unauthorized, unlawful and wrong hands. In spite of all these efforts, we do not give any express or implied guarantee that your information will never reach at the hands of some anti-social and anti-societal people. We always encourage you to give a strong thought before you disclose any information to any person or a separate business entity. Along with the above mentioned, we also want to clearly state that we shall not be able to safeguard your information in case of any natural calamity, such as a flood, famine, drought, earthquake, landslide or any such event that goes beyond our control. You are assumed and expected to check the website after regular time intervals to be aware for any updates or changes. We are always open and easily accessible for getting in touch with you. Please feel totally free to mail us at support@eduncle.com. You are also welcome to visit us at www.eduncle.com or call us at 1800-120-1021 (Toll Free) for any queries.